Panama with its capital Panama is located in North America (Central America, bordering both the Caribbean Sea and the North Pacific Ocean). It covers some 75,421 square kilometers (slightly smaller than South Carolina) with 3,753,140 citizens. 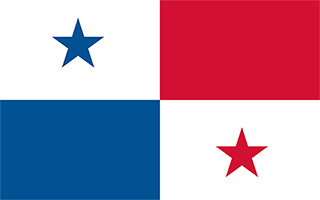 Spanish and English are the common languages used in Panama. As an interesting fact, is sharing borders with Colombia and Costa Rica. Panamais a country in Central America with coastlines on both the Caribbean Sea and the North Pacific Ocean, with Colombia (and South America) to the southeast and Costa Rica (and North America) to the northwest. The ease of travel and wide array of experiences are making Panama one of the most attractive emerging tourism destinations in the world. In just one week, visitors can enjoy two different oceans, experience the mountains and rainforest, learn about native cultures and take advantage of vibrant urban life. The capital, Panama City, is a modern, sophisticated metropolis that resembles Miami and has established commerce, arts, fashion and dining. Fodors, Frommers and National Geographic have all recently began publishing guides for Panama, only the second country in Central America, behind Costa Rica, to have such extensive travel coverage. The topography is interior mostly steep, rugged mountains with dissected, upland plains with coastal plains with rolling hills. The average density of population is about 50 per km². The climate in Panama can be described as tropical maritimehot, humid, cloudy, prolonged rainy season (May to January), short dry season (January to May). Potential natural disasters are occasional severe storms and forest fires in the Darien area. To reach someone Panama dial +507 prior to a number. The local cellular networks are operated on 850 MHz, 1900 MHz, 3G, 4G. Websites typically end with the top level domain ".pa". If you want to bring electric appliances (e.g. battery chaarger), keep in min the local 120 V - 60 Hz (plugs: A, B). The sign for the locally used currency Balboa is PAB.